** Enter your guess for price of Silver at the end of 2017. Cut off for guesses will be DECEMBER 23 (Saturday). ** Winner will be notified using the reply below. ** Silver Round will be mailed to the address provided after being notified. ** Anyone can enter; subscribers or non-subscribers. ** You can enter an unlimited number of times up until January 3, 2018. ** Use this link below and then click the Paypal button at the bottom of the David Dawei Contact page. If you want to enter 5 times, change the quantity to 5. There is also a Paypal Notation Text bar if you want to add a reference for your records. ** Winners will be notified using the email provided at time of purchase. ** You do NOT need a Paypal account. You can use your debit or credit card to buy raffle “tickets” at $3.43 each. 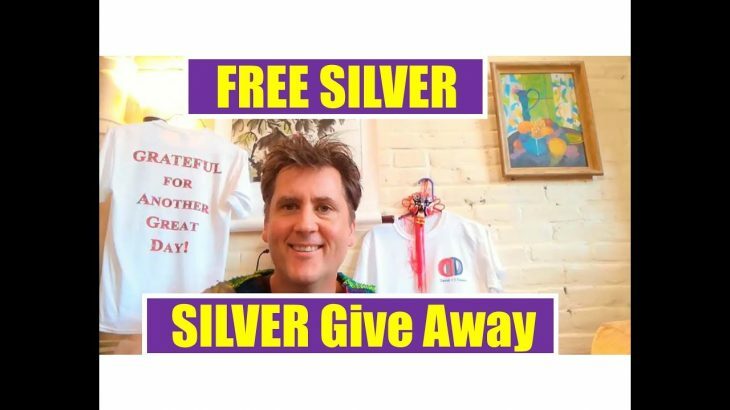 Video DavidDawei, DavidisDawey, Gold, Gve Away, Raffle, Silver. permalink.